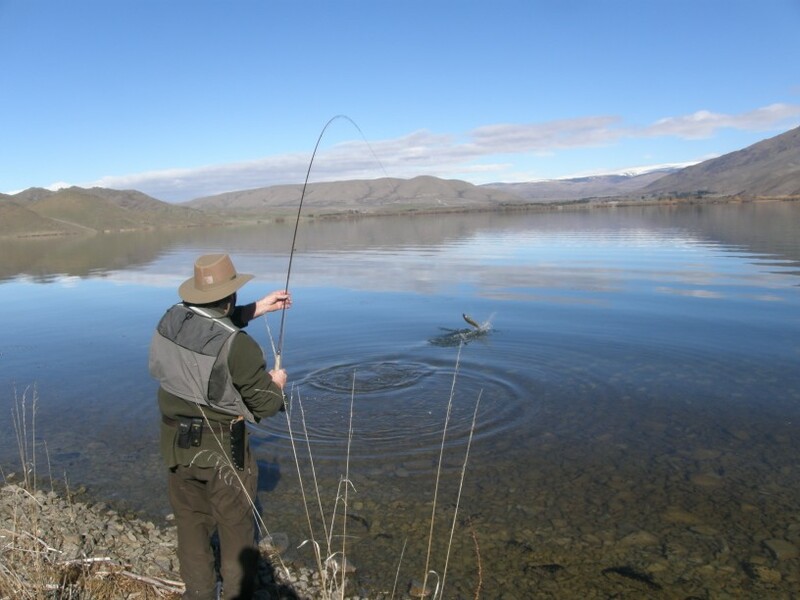 Glenthorne Station is a fishermans paradise, bring along your own fishing gear and try your hand at fishing in many of the lakes and rivers nearby or alternatively use our experienced guide. 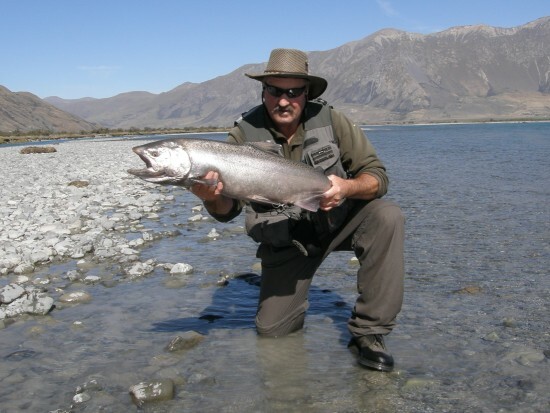 The advantage of a professional fishing guide will increase your chance of success through his local knowledge of rivers, weather conditions and 4wd access. Fishing gear and a licence can be provided right on our back door. 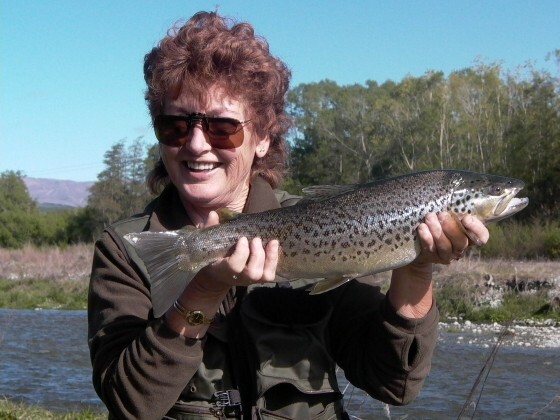 Our local guide has over 30 years experience fishing for wild brown and rainbow trout and salmon in the Canterbury region. Your fishing tour can be as simple or as adventurously challenging as you want to make it, from novice to expert all levels can be catered to. The water is crystal clear (in most cases, weather permitting) and you will be spotting the trout feeding in the river currents and cruising the lake edges. Stalking these trout is a heart stopping experience and one not to be missed. 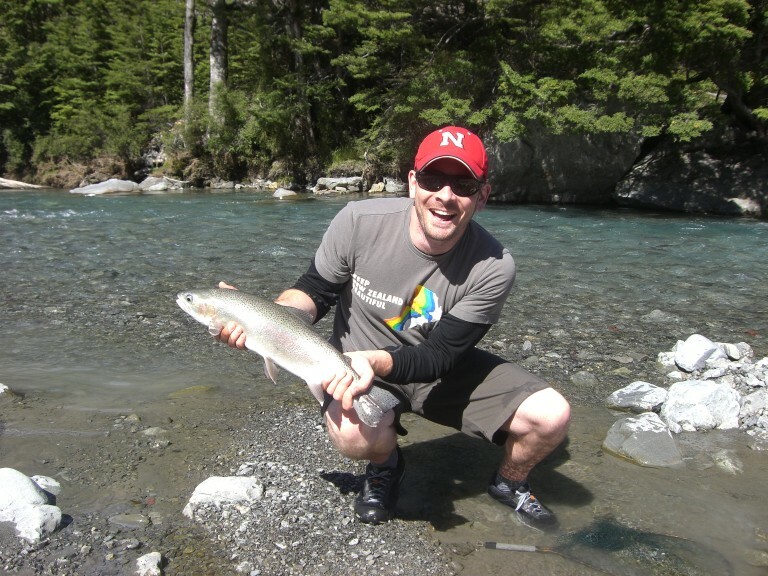 Fishing is mainly done with Dry Fly or Nymphs, but we can also cater for for spin fishing. 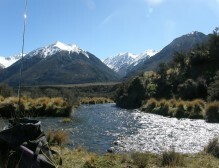 Access to fishing locations on the property is normally done by 4WD and some walking may be involved. 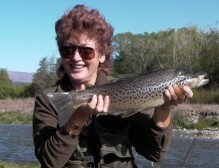 The Summer fishing season opens on the 1st Saturday in November and runs through to the 30th April. There is also some winter fishing in limited lakes only from June to September. Lakes in the general area are Coleridge, Selfe, Henrietta, Evelyn, Lillian, Ida, Monck and Georgina.